Bigger is better, especially when it comes to food. So we’ve rounded up 11 of the biggest and best feeds to track down in Perth. The Camfield is Australia’s biggest pub, with a big beer garden, serving a big range of beverages, sitting next to a big stadium and, true to form, offering some extra big pizzas. On Mondays, Tuesdays and Wednesdays you can order a whopping 18-inch pizza, perfect for a catch up with your group of mates. Be organised though, The Camfield is only making five pizzas per day and you have to pre-order. Straight from their family farm in Gingin, is Bivouac’s Hawaij whole goat shoulder dish. For $69 this one is perfect to share and will leave you drooling for more meaty goodness. If your savoury stomach is full but your dessert stomach is grumbling afterwards, we recommend their cherry and apple cigars with cinnamon sugar and cardamom mascarpone. 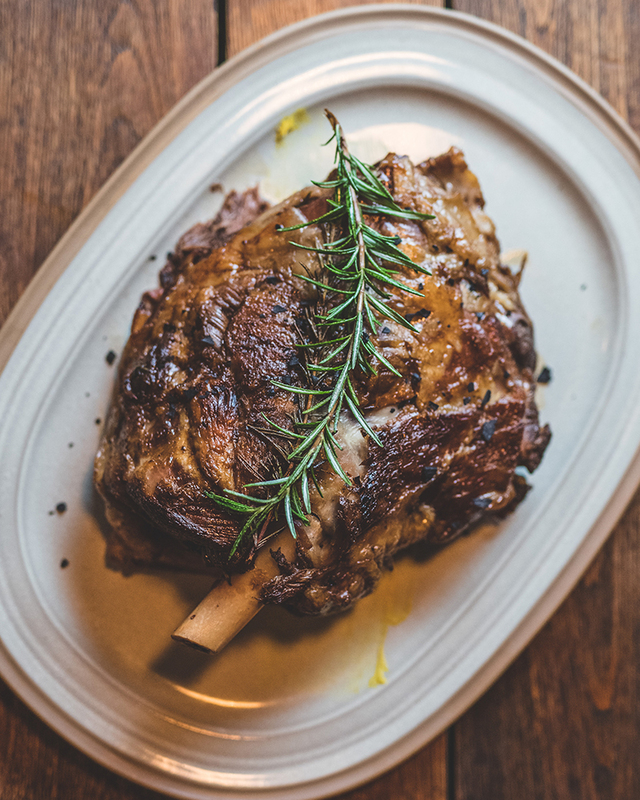 If you’re after a seriously big feed, head to The Stables for their 2kg slow cooked lamb shoulder. It’s part of the $90 chef special so you’ll also get some delicious starters, entrees, sides and desserts to go with it, making this feed enormous. There are many meals at Mel & Co Garden that are a feast for the eyes and the stomach, the Kerrigan Valley Beef is one of them. Made to share between five or six people (or three super hungry people) this dish is made up of a herb crusted rib eye served on truffle mash with broccolini and jus. Definitely worth the $150 price tag. 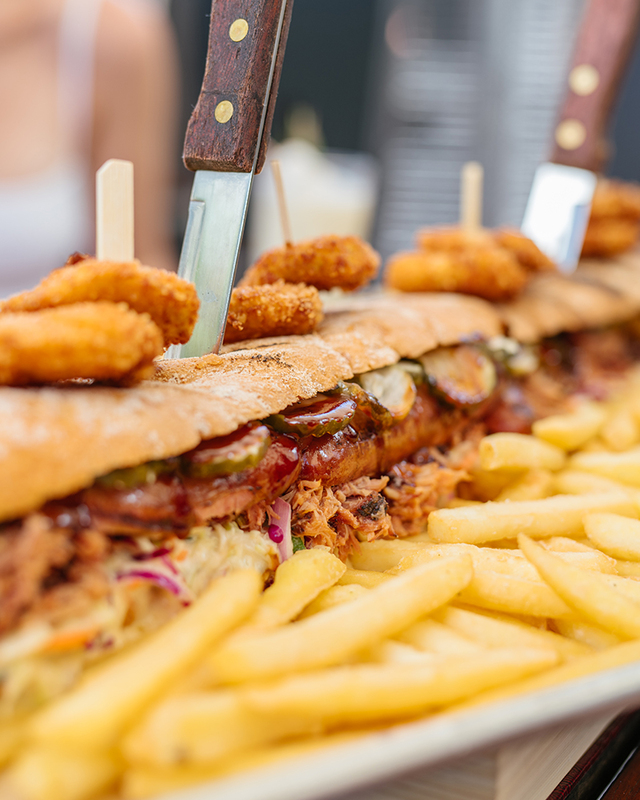 If you’re up for a fun Sunday, head to The Guildford Hotel for one of their mega sangas. Choose from their mega steak, mega pork, or mega fried chicken sandwiches. For $50 it’ll be a foot long or for $90 you can get a massive two-foot sandwich. The meatier and heartier the better, which means The Standard’s beef shin dish is one of the best you’ll find. Think beef shin and roasted marrow, topped with a rendang glaze, peanuts and toasted coconut. Maybe leave this juicy dish for a night out with your life partner instead of a first date, because you won’t be able to resist digging in. Sure, the burgers at Short Order Burger Co are plentiful and indulgent to most, but not compared to their triple patty option. 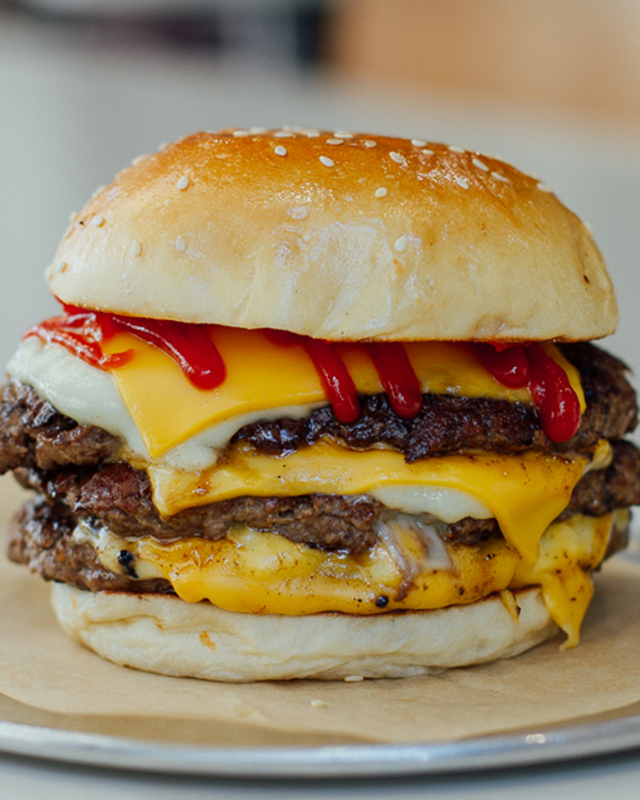 Order the double patty cheeseburger and then add another for only $5. This would be the ultimate hangover cure. 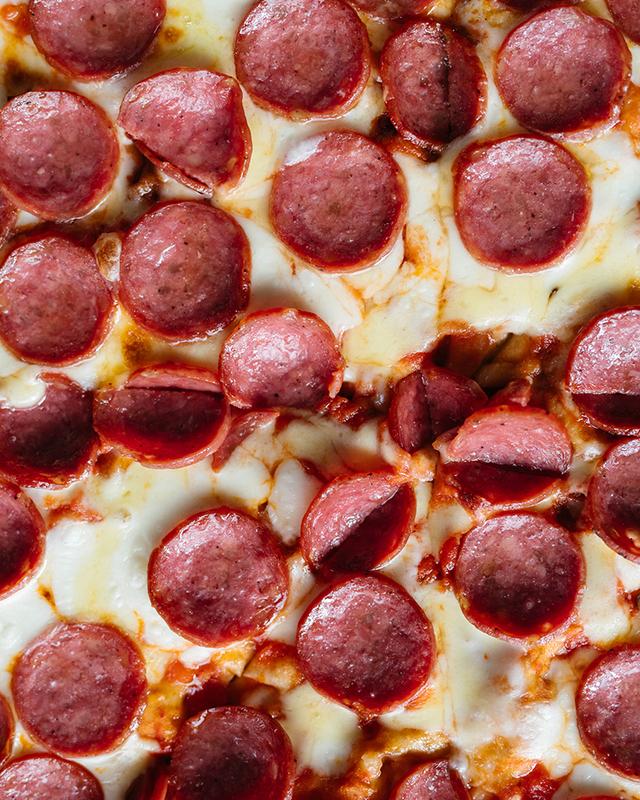 Mack Daddy's 22-inch pizzas deserve their own hashtag. One New York-style pie serves three to five people and the box is so big it's a struggle to squeeze it into your car. Definitely one of Perth's best big feeds. 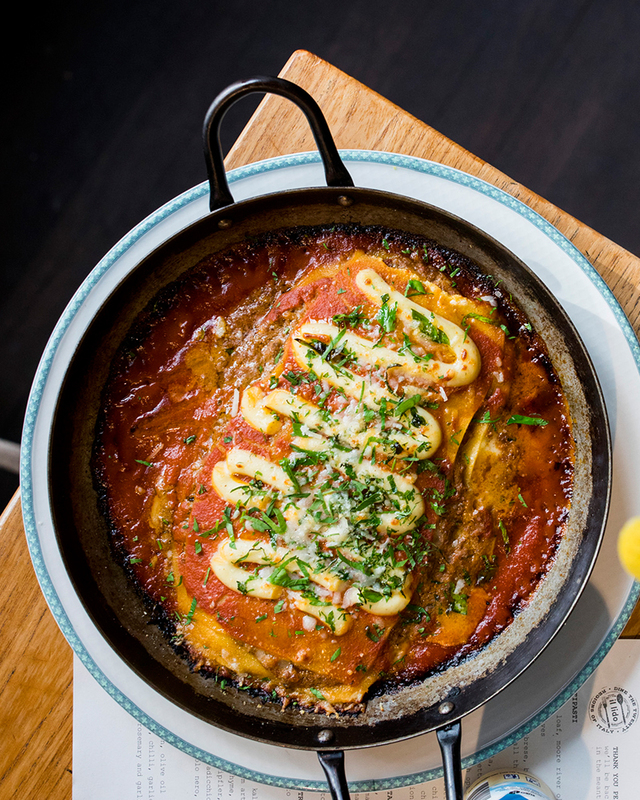 Il Lido’s lasagne special is the perfect Cottesloe Sunday session for big eaters. To soften the blow of the weekend’s end, they’re serving Roberto’s traditional lasagne for two every Sunday. Think fresh ground beef, tomato sugo, provolone and parmesan—an Italian dream. Tiny’s Bar is supporting your big eating habits and letting you decide between a half or whole chicken (is that even a question?). Their roast Lilydale chicken with nduja, bread sauce, and dripping potatoes will leave you full for the next few meals. Peruvian restaurant Uma has plenty of big meals that we’d recommend, but the largest (taste and size wise) would have to be their premium 30-day, dry aged grass-fed beef, served with house-made, fermented mustard sauce. We recommend laying low on breakfast and lunch before tucking into this one. Once you’ve worked your way through this list you’re going to need something a little lighter. Here’s where to find the healthiest takeaway in Perth.